Sub David Mooney chipped in an injury-time winner after a brace from Ryan Bird and a stunning lob from Mitch Pinnock had seen the hosts overturn a three goal deficit. George Elokobi had headed the visitors ahead in the first half, with further strikes from Macauley Bonne and Matt Harrold putting the O’s in control. Dean Brill had to be alert early on, tipping over Giancarlo Gallifouco’s looping header from Nortei Nortey’s ball. Brill then expertly turned away Anthony Jeffrey’s fierce drive and Connor Essam stabbed Pinnock’s cross wide. 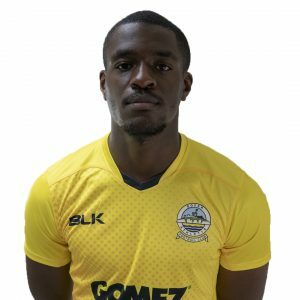 Home keeper Walker denied Harrold with his legs after the striker was put through by Ebou Adams. Walker was left motionless as Bonne dragged Lemar Reynolds cross narrowly wide and Whites’ goalie was then called into action to acrobatically turn away a long range drive from Reynolds. 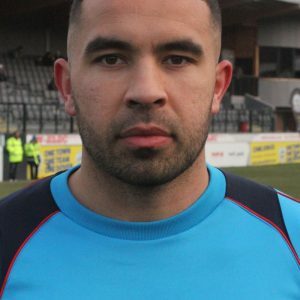 There was a melee in the penalty area from the resulting corner with Harrold, Bonne and Coulson all unable to breach the Dover backline before Essam was finally able to clear the danger. The action was soon at the other end as Brill dived to catch Gallifouco’s header from Pinnock’s free kick. But the visitors had the lead ten minutes before the break as Elokobi powered in McAnuff’s corner. It was almost an instant reply through Nortey’s low shot, but Brill was down quickly to palm the midfielder’s effort wide. Mitch Brundle then nearly added to his repertoire of spectacular goals, volleying inches past the wrong side of the post from the edge of the area. Harrold was within a whisker of doubling Orient’s lead, just missing Jake Caprice’s ball across the goalmouth. And there was still time for one more chance in a breathless first half as Josh Passley slid in to clear Harrold’s clever finish off the line. Bird almost continued his record of scoring in each round of the competition so far, heading Pinnock’s cross straight at Brill. The Zimbabwean international collected the ball 30 yards from goal and curled a stunning effort into the top corner, beyond Walker’s despairing grasp. And the tie was seemingly over once Harrold stabbed in Elokobi’s knockdown to make it 3-0. 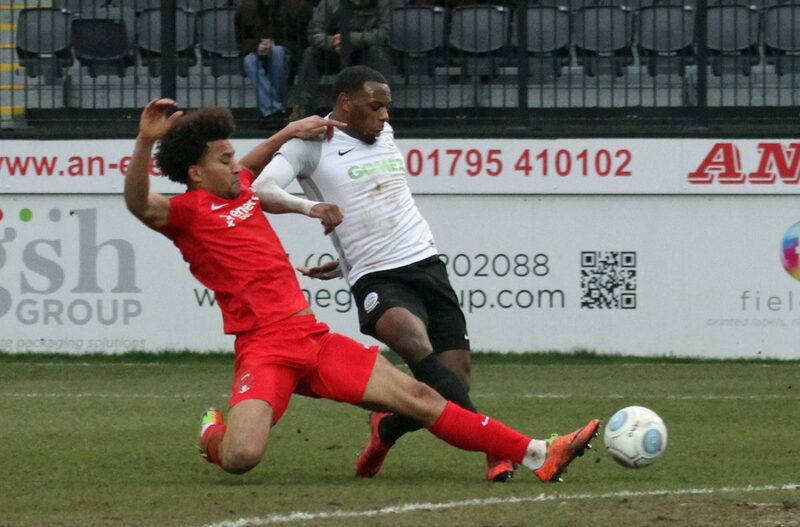 But Dover and in particular Bird had other ideas as the striker fired Pinnock’s shot into the bottom corner to reduce the arrears. And the Dover fans were celebrating once more shortly afterwards. But the cheers soon faded when they realised Jeffrey’s 20 yard rocket had flown into the side netting. Walker kept Athletic in the tie, firstly denying Harrold after Adams teed up the attacker. Whites’ keeper then produced a magnificent save to stop Bonne after Gallifuoco miscued a clearance, then denied the same striker after Bonne returned his weak kick out with interest, with Walker sprinting back to his own area and landing on the goalbound ball. With ten minutes left, Pinnock stylishly pulled his side back into the tie. The winger took advantage of some miscommunication between Coulson and Brill, lobbing over the stranded Orient keeper from distance. And the turnaround was complete just one minute later thanks to Bird’s 16th goal in all competitions this season. The striker slotted his second of the game, following up after Brill tipped sub Kadell Daniel’s angled shot his way. But Orient sub David Mooney had the final say with a classy finish, with Dover unable to muster a leveller in the final moments of the tie. Earlier, boss Kinnear kept with the same side that started last weekend’s win against Guiseley. James Alabi and Chris Lewington returned as substitutes in place of Loui Fazakerley and Kane Richards. Dover: Walker, Gallifuoco, Essam, Parry, Passley, Brundle (c), Nortey (Bellamy 61), Ilesanmi, Jeffrey (Daniel 72), Bird (Alabi 86), Pinnock. Subs not used: Lewington, Okosieme. Leyton Orient: Brill, Caprice, Coulson, Elokobi, Widdowson, McAnuff (c), Adams, Clay, Reynolds (Brophy 67), Harrold (Mooney 80), Bonne.